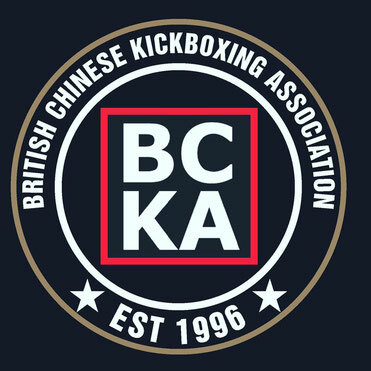 The BCKA (British Chinese Kickboxing Association) was formed by Alex Barrowman in 1996 with the purpose of enabling a group of fighters to compete at international level. A training system and syllabus were designed to lean towards developing competition sparring skills and techniques whilst still maintaining a martial art discipline. The BCKA was unique in that any fighter of any level or experience was encouraged, developed and given the opportunity to fight internationally and ultimately represent their country if they were willing to train hard for it. Today the BCKA follows the same ethos continuing to be the platform for international competition it was intended to be and much more, now being able to showcase some of the best fighters and martial artists in the UK, Europe and the world. Since 2001 the BCKA has supplied talented fighters to the WKA and now WKC England Teams to compete in World Championships, culminating in 9 fighters attending the WKC World Championships 2009 and bringing home an impressive haul of 9 medals. More than simply just another kickboxing organisation, the BCKA also offers the opportunity to learn and master Chinese Kung Fu instead of or in addition to the kickboxing element. Through training with the BCKA you will increase your flexibility, speed and strength. More than this you will improve your fitness and agility both physically and mentally leaving you with a greater sense of wellbeing. The BCKA is a non-elitist organisation that caters for all. Students of all ages, abilities and either gender are welcome to train with the BCKA and maximise their potential in whichever side of the BCKA they choose to concentrate, whether this be kickboxing for sport or martial arts in its pure form. With top quality instructors, upcoming and proven fighters and unrivalled choice - opt for the BCKA for a true martial art experience.